Congrats Michigan you passed Proposal 1 on November 6th to legalize the recreational use and possession of marijuana for anyone 21 years old or older! 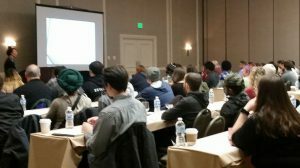 While we currently don’t have classes planned for Michigan, our class is 90% the same from state to state so, get our upcoming cannabis dispensary training schedule and plan a road trip to Chicago or Cleveland, or register with HempStaff to be notified when dispensary training is in your area. It’s not a typo, the Michigan law spells it with an ‘h’ – Marihuana. This is just the first of many things unique to the Michigan Cannabis Industry. This course is a Professional Training Course to teach you what you need to know about cannabis and your state’s Cannabis Laws so that you can apply to work in a Michigan Medical Marihuana Provisioning Center. You will be working with cardholders in this position and must understand the medication before you start assisting others. The material is presented in a fast paced, 4 hour course with a summary exam at the end to get your certificate of completion. The goal of this class is to help you understand the industry and the medication which will help boost your resume with the knowledge you need to speak intelligently when you land that interview for an opening at a Michigan Medical Marihuana Provisioning Center in the near future. Many owners across the nation have taken our course, and they all agree – they will look for HempStaff trained employees first when interviewing for entry level dispensary employees – as they know our course gives them the cannabis knowledge to help them succeed. Certainly not every business owner has heard of us, but all owners can agree that some training is better than no training. Our course is there to help people get in the cannabis industry by giving them knowledge to get interviewed and speak intelligently during their interview, and we have done this hundreds of cannabis employees nationwide. On Sept. 15th, 2016 lawmakers were finally able to pass a package of five bills that would give legal protections to Medical Marihuana Provisioning Centers, growers, edibles makers, etc. 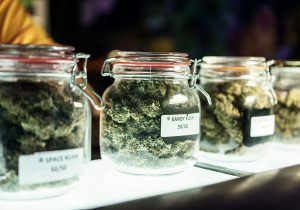 The new system will set up state licensing for five different business types: grower, processor, Medical Marihuana Provisioning Center, transporter and testing lab. While an improvement in many ways, it is not without its controversies, particularly for those businesses that have been operating since voters approved a medical marijuana initiative in 2008. With the passage of the new regulatory system, changes are ahead, particularly for those cultivating or providing medical marijuana. While much of the framework created by the new law is similar to that of other states, it represents a big change for Michigan’s program, which has been evolving since 2008. On November 6th, Proposal 1 was passed by the voters legalizing marijuana for anyone over 21. The law will go into effect in early December, once in effect the law allows anyone over the age of 21 to carry 2.5 ounces in public and at home, have up to 10 ounces and 12 plants, as long as they are not grown in a location visible from outside. Follow these links for more information on Michigan Cannabis Laws or Michigan Hemp Laws. Some states call it a Budtender, Compassion Care Technician or Patient Liaison. No matter what the title is, the job description is the same – it is the person that works behind the counter of a Medical Marihuana Provisioning Center and here at HempStaff, we believe they need to be trained. They are the product specialists whose main responsibility is to be a product specialist. This person must be trained to work with cardholders and help educate patients on how cannabis can alleviate some of their medical symptoms. Medical Marihuana Provisioning Center agents must be able to not only work with cardholders on the products that may work best but also how to use these products and what the appropriate dosages should be. After passing the cannabis training for Medical Marihuana Provisioning Center jobs in Michigan, HempStaff offers you a resume review to help you get your document looking the best that it can before you start sending it out for posted positions. And of course, when our recruiters are contracted to fill entry level Medical Marihuana Provisioning Center agents or cultivation site workers, we review our student’s resumes and contact them first! When Medical Marihuana Provisioning Center owners need to hire employees to work in their Medical Marihuana Provisioning Centers, they know our certified students are exactly what they are looking for in terms of initial knowledge of the job functions! 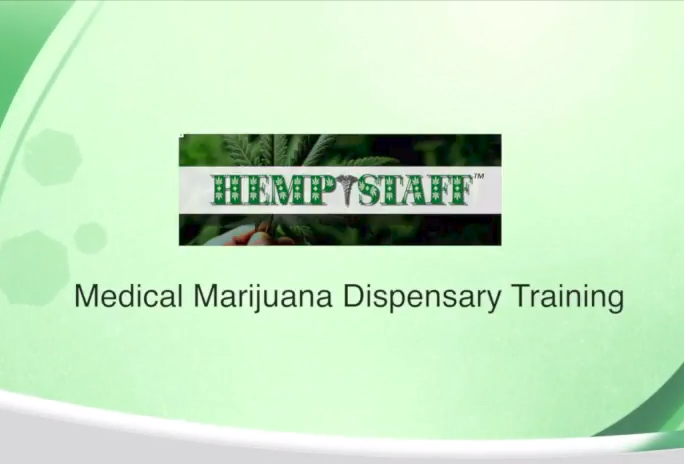 HempStaff will be known as the go to company for cannabis training for Medical Marihuana Provisioning Center jobs in Michigan! We are the ONLY Medical Marihuana Provisioning Centes Training Course that employs someone with 5+ years of legal cannabis experience as their head trainer! We know the value of having our students able to ask questions that only someone with this much experience can actually answer. Please Note: You can NOT put ANY illegal experience on your resume for a job in the medical marijuana industry! Unless you have experience working in a Medical Marihuana Provisioning Center, this training will be what you can put on your resume to let employers know you have the knowledge and ambition they are looking for when selecting candidates to interview. It shows you have the motivation to obtain professional training in the subject of medical marijuana and truly desire to be the best MMJ Dispensary Employee you can be! Our trainer, with years of experience working in a Medical Marihuana Provisioning Center, will teach you what you need to know to be a knowledgeable, compassionate and professional Medical Marijuana Employee in this new exciting industry. Our course manual was reviewed and revised in January of 2019 by a Diplomate of the American Academy of Cannabinoid Medicine, Dean’s Professor of Cannabis Education at the Substance Use Disorder’s Institute and teaches a cannabis certification course for physicians and pharmacists. He is also a cannabinoid research scientist in the Department of Biology at Wm Patterson U. Our trainer is flown in from Colorado specifically to teach this class and has plenty of inside information on how this industry works! Learn from someone who has been working with medical marijuana for years! Since they work in the marijuana industry every day, they have the most current information and product knowledge. They have already gone through the growing pains of the Medical Marijuana program and start up in their home state, so you will learn what to expect from their first hand experience. This cannabis training for Medical Marihuana Provisioning Center jobs in Michigan will also have a question and answer session as well, so bring all your questions regarding medical marijuana dispensaries! At the end of the cannabis training for Medical Marihuana Provisioning Center jobs in Michigan you will be given a 20 question exam that you must pass with 75% in order to get your HempStaff Certification. There is no state approved certification for Dispensary Training in ANY state yet, as it is still Federally Illegal, but we believe training is essential in order to allow this industry to succeed and help our patients get the relief they need! When clients come to us with open positions for their dispensaries, or even when you apply on your own, the hiring manager can be assured you have had the proper training. We have heard from many dispensary owners that our Certified Students are amongst the most knowledgeable they have interviewed / hired and they will look for those candidates first in their pile of resumes. We know that laws are constantly updated in the early months of the MMJ program. That’s why, once you take our professional training class, you are welcome to return to any future training session, based on availability, at no charge! The HempStaff Certification was created so that we can be sure that any candidate we send to our client for an interview is trained and qualified. In addition to any possible job openings through HempStaff, students are encouraged to list the HempStaff Certification and Training as education/professional training on their resume when applying for industry jobs on their own. Many of our students have used our network to search out their own opportunities and obtained jobs on their own, several Medical Marihuana Provisioning Center owners have attended our classes as well – so we suggest business casual attire. There are many opportunities to explore once you are properly trained! Now is the time to get cannabis training for Medical Marihuana Provisioning Center jobs in Michigan and get into this industry before it explodes in over the next couple years!